» Faculty of Medicine » Home » Gillian Hanley: MSFHR Scholar Award recipient for her Health Services project “Population-based ‘big data’ research to improve women’s health”. Gillian Hanley: MSFHR Scholar Award recipient for her Health Services project “Population-based ‘big data’ research to improve women’s health”. One June 13, 2018 the Michael Smith Foundation for Health Research (MSFHR) announced the recipients of the 2018 Scholar Award competition. 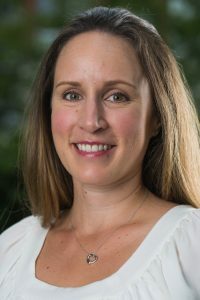 Dr. Gillian Hanley, an Assistant Professor, in the Division of Gynaecology was one of 17 Scholars funded for her Health Services Research project “Population-based ‘big data’ research to improve women’s health”. Gillian continues to build upon her PhD and Post-doctoral work, also funded by MSFHR via trainee awards. Following the MSFHR announcement we took the opportunity to talk to Dr. Hanley about her research plans. The main theme of my MSFHR Scholar proposal was methodological – namely, how we can use “big data” to improve women’s health. Within that methodological framework, I have two of main content areas – one is gynaecological and one is obstetrical. What drew you to “big-data” and this area of research? Reproductive health is considered among the least evidence-based areas of health care and disparities in incorporating women into clinical research are well documented. Yet, logistical and ethical concerns have limited our ability to conduct randomized controlled trials in many areas most relevant to women’s health. Longitudinal population-based datasets (“big-data”) present us with an opportunity to research these areas, and I am using “big-data” to find ways to improve patient experience, population health and reduce health-care costs. Within the last 10 to 15 years there have been some major advancements in our understanding of ovarian cancer. We know now that it is not just one disease but 5 distinct diseases. The most common is high grade serous cancer, which makes up 70% of all cancers; it is also the most deadly, accounting for 90% of all deaths. Even though it is the most common and the most deadly we have not yet been able to find an effective screen for it; so prevention is the best approach. However, removing the ovaries results in menopause and we know that earlier age of menopause is associated with increased mortality from cardiovascular disease, and other conditions, which would offset any cancer prevention benefits. In the last 10 to 15 years we were also coming to an understanding that ovarian cancer doesn’t originate in the ovary. While the tumour grows in the ovary, the majority of cancers appear to originate in the fallopian tube. The fallopian tube has no known role outside of child bearing, so this created an opportunity for ovarian cancer prevention. In 2010, the Ovarian Cancer Research Program (OVCARE) started recommending that fallopian tubes (but not ovaries) be removed at time of hysterectomy or tubal ligation. In 2014, the OVCARE team was looking for someone to help them understand if the strategy, known as opportunistic salpingectomy, was being taken up and if it was effective as an ovarian cancer prevention strategy. I was just completing my Postdoctoral fellowship and understood how our provincial data sets could be used to answer these questions effectively and cost-efficiently. I think within the next 5 years it will be possible to see if opportunistic salpingectomy is in fact preventing cancer. We also want to ensure there are no hormonal consequences of removing the fallopian tubes – such as decreased age of onset of menopause. Each year, 15 to 20% of North American women experience depression or anxiety during pregnancy, and one-third of these women may be treated with a SRI antidepressant. SRIs readily cross the placenta leading to concerns that it may affect early brain development. My work to date has reported that SRI exposure in utero is significantly associated with delayed motor-development, socio-emotional, and adaptive behaviour at 10 months, with increased anxiety at 3 years of age that persists until 6 years of age. With my collaborators, I am hoping to improve upon the research looking at SRIs and Autism Spectrum Disorder (ASD). Some studies have shown that SRI exposure in utero is linked to higher rates of ASD but these studies based ASD solely on ICD codes which are not an accurate means of case ascertainment. We have done some validation studies demonstrating that we can improve case-ascertainment by linking Ministry of Education data with BC Autism Network data. Now the next step is to see if there is still a relationship between SRI use in pregnancy and ASD. I am also interested in seeing if SRI is linked to emotional, behavioural and motor development, more generally. We think that this may have more to do with the maternal depression itself rather than the medication. These types of studies are very difficult to do because we are looking at a rare exposure (approximately 5% of pregnant women use SRIs) and an even rarer outcome but there is really no other way to study this in our population, so again “big-data” offers us an opportunity to develop a better understanding of potential relationships. What is it like working with OVCARE? The OVCARE leaders are incredibly supportive. And OVCARE is a great multidisciplinary team. We have molecular biologists, pathologists, clinicians, bioinformation, statisticians, and epidemiologists all working together to answer the most meaningful questions in the most rigorous way. There is always something that each unique skill-set can contribute to. It is remarkable what happens when you bring multidisciplinary teams together. It is hard to do it well but OVCARE does do it well. I completed a PhD in Pharmaceutical Policy from the Department of Healthcare and Epidemiology at UBC (now the School of Population and Public Health). While working on my Post-doc, on prescription drug use and pregnancy I became interested in working on women’s health more broadly and was fortunate to have the opportunity to collaborate with OVCARE on ovarian cancer prevention and research. Now I am a full-time member of the research faculty within the Department of Obstetrics and Gynaecology at UBC. I spend my days on research, as well as teaching and supervising students. Currently I reside in Toronto and divide my work between Vancouver and Toronto but will be returning full-time to Vancouver soon. Being based in Toronto, at Women’s College Hospital Research Institute has been very beneficial because the Ovarian Cancer program of research will combine BC and Ontario data to answer questions that each provincial data set alone would be not have the power to answer. It is a unique opportunity to build relationships and collaborate nationally to answer important health questions. I find it all so interesting. I am glad that I do not have to pick just one topic and that I can apply my methodological approaches to different content areas. When you aren’t busy being a researcher, what do you do? I parent. My toddler keeps me busy. We bike a lot and swim a lot. We also hope to introduce our son to skiing this winter. I would probably go back to study midwifery and deliver babies.